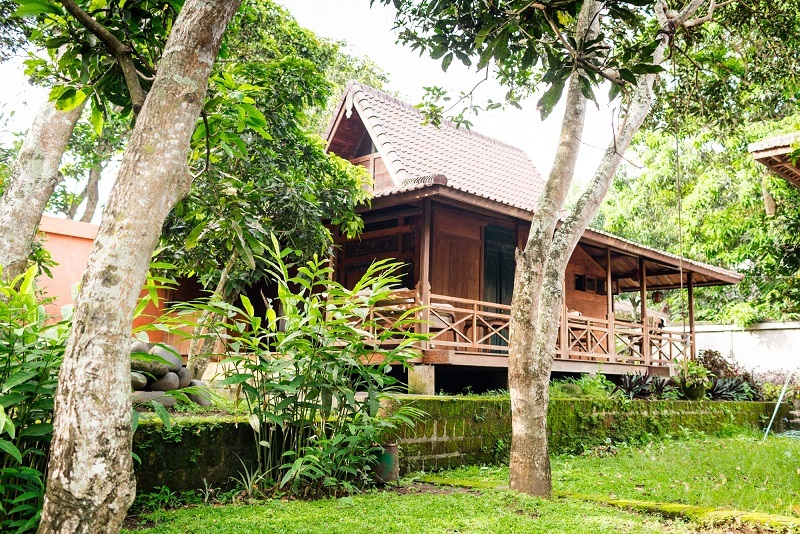 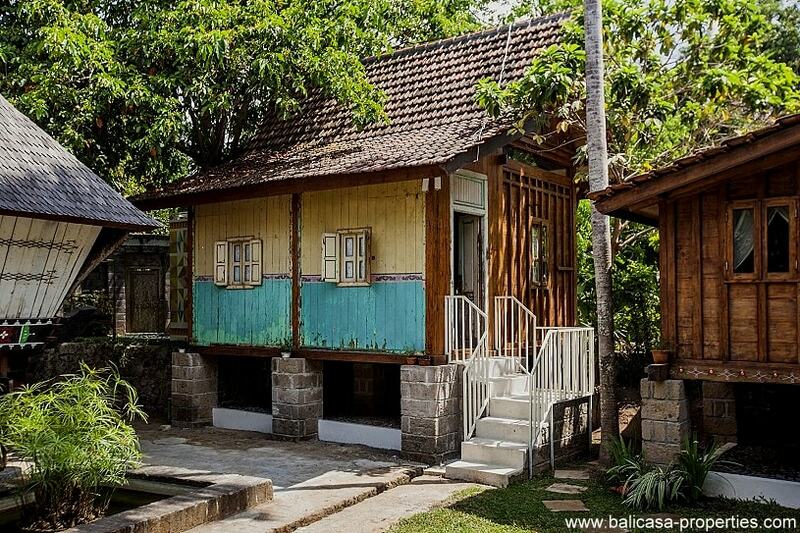 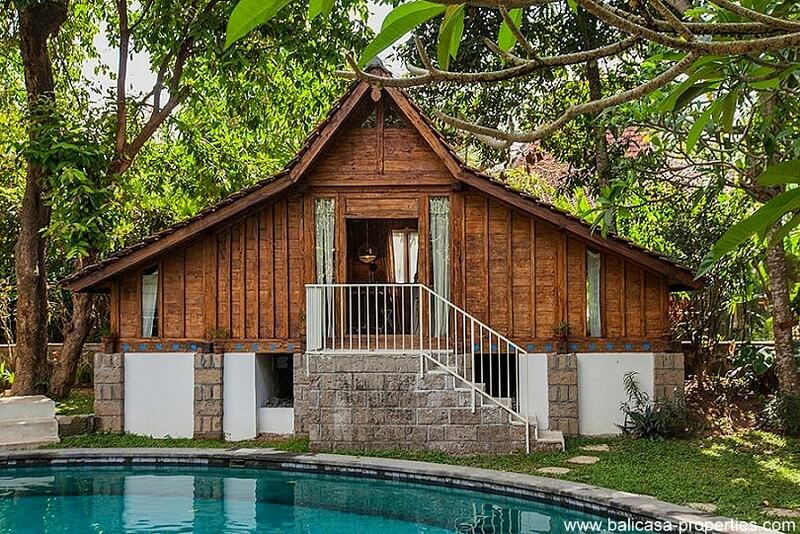 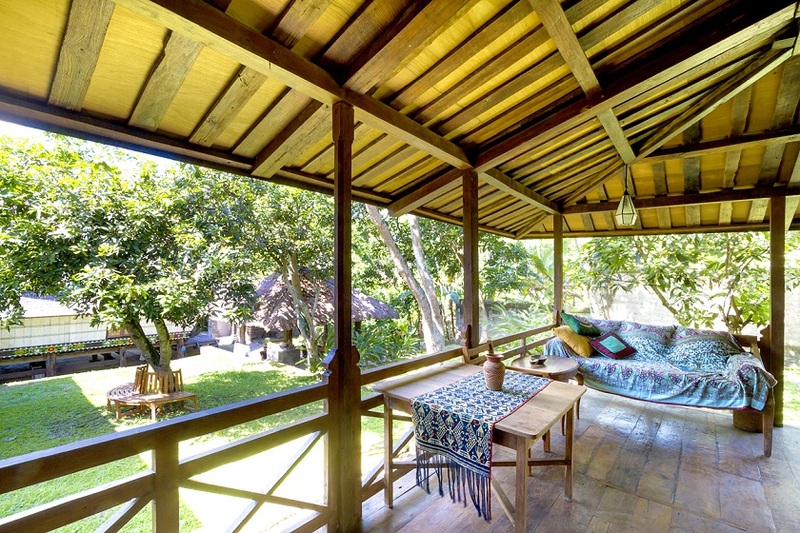 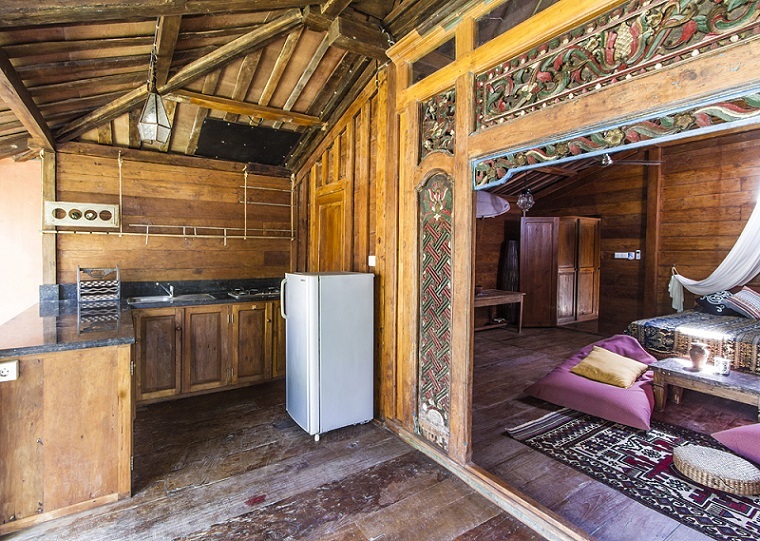 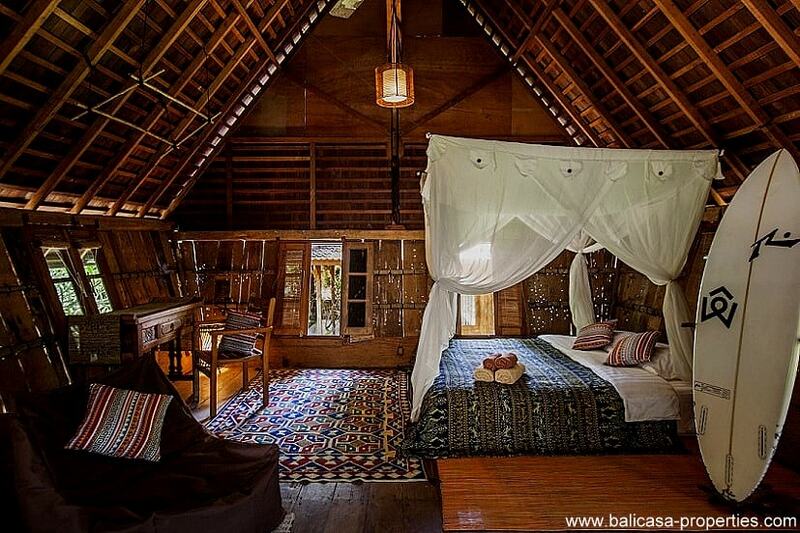 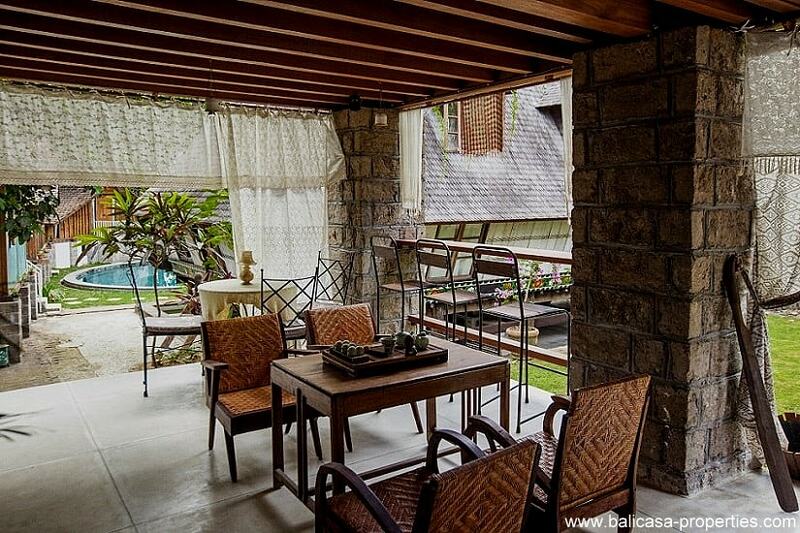 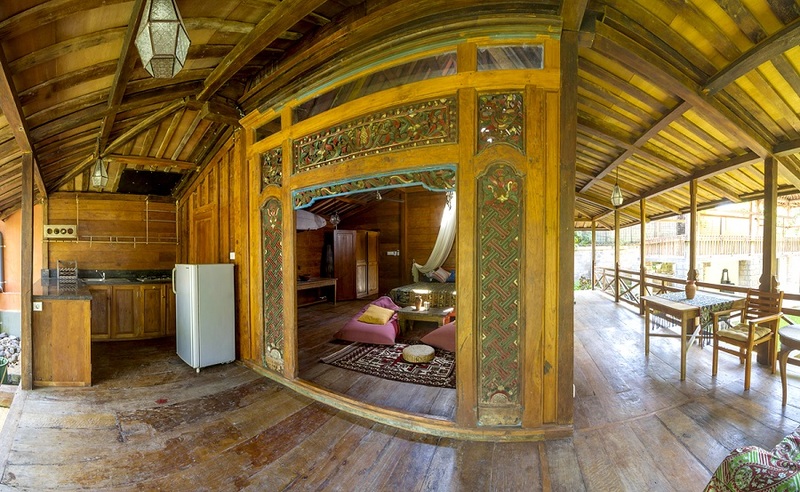 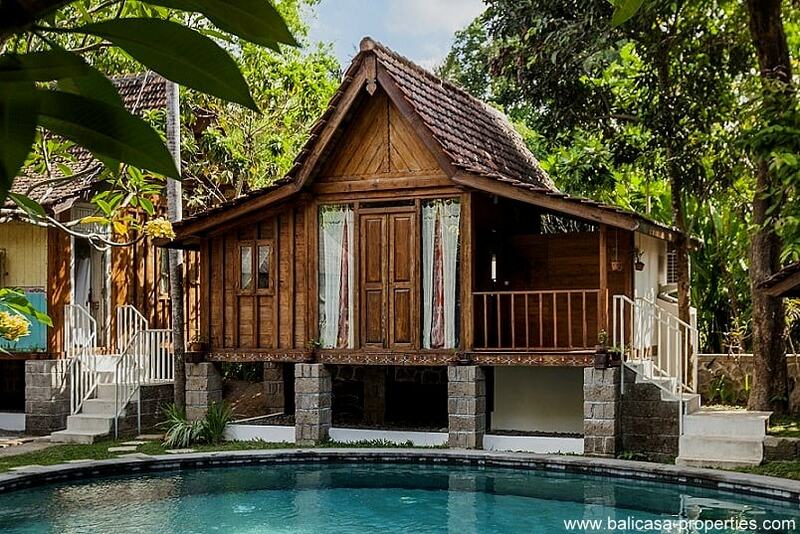 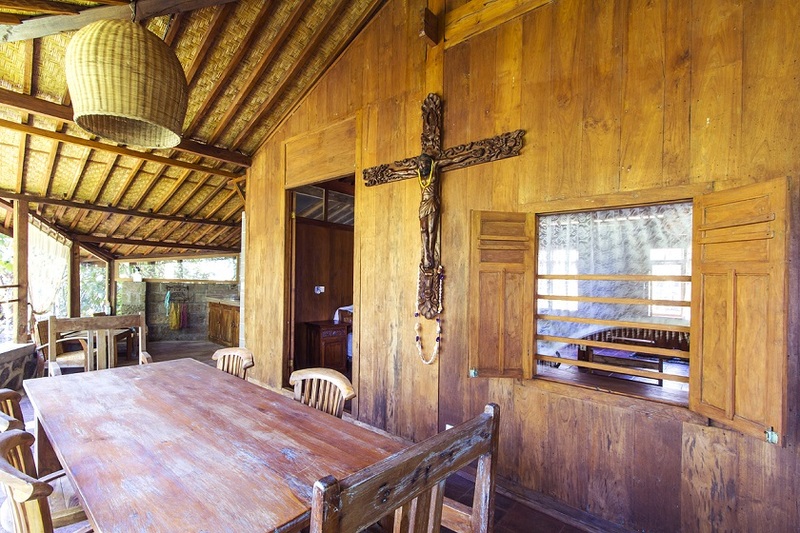 A small resort on offer for sale, located in Canggu consisting out of traditional Indonesian houses. 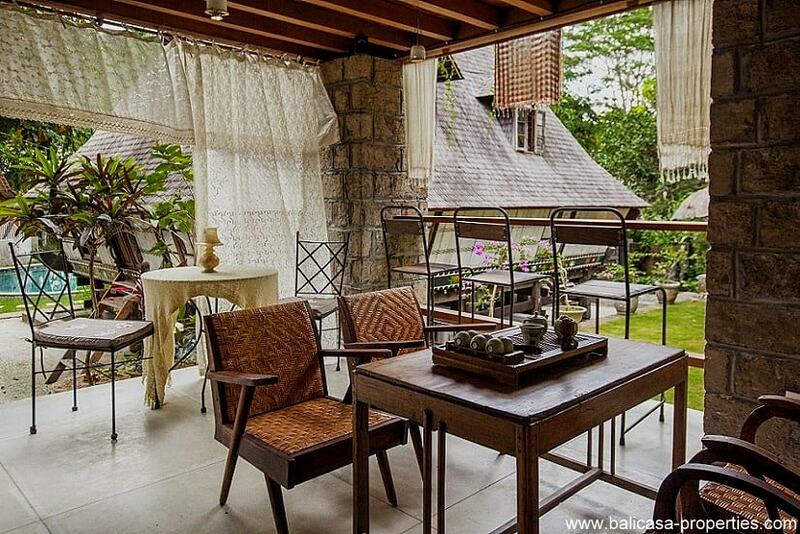 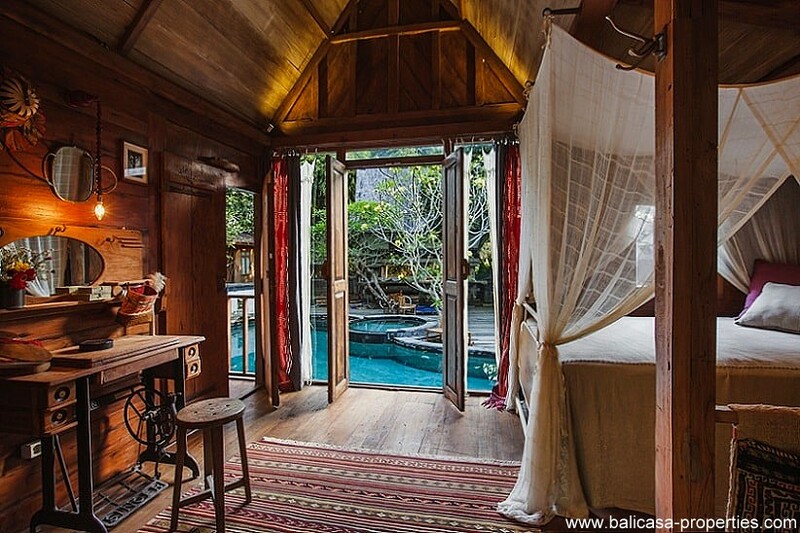 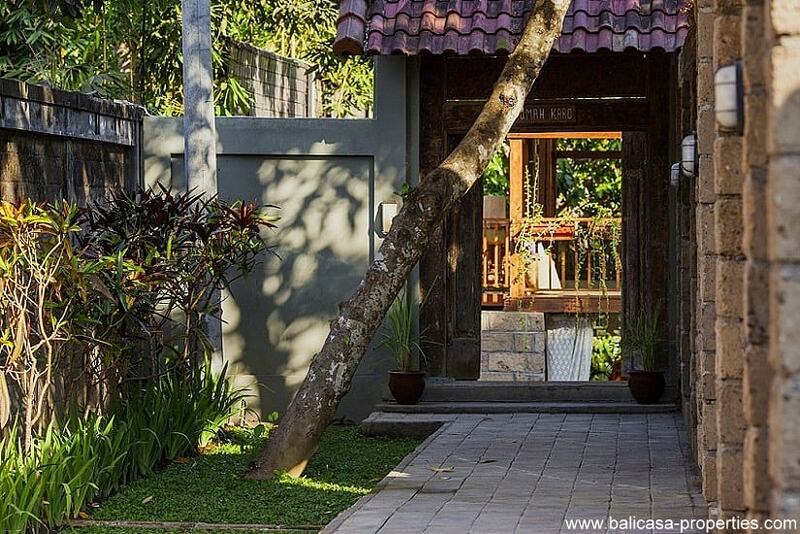 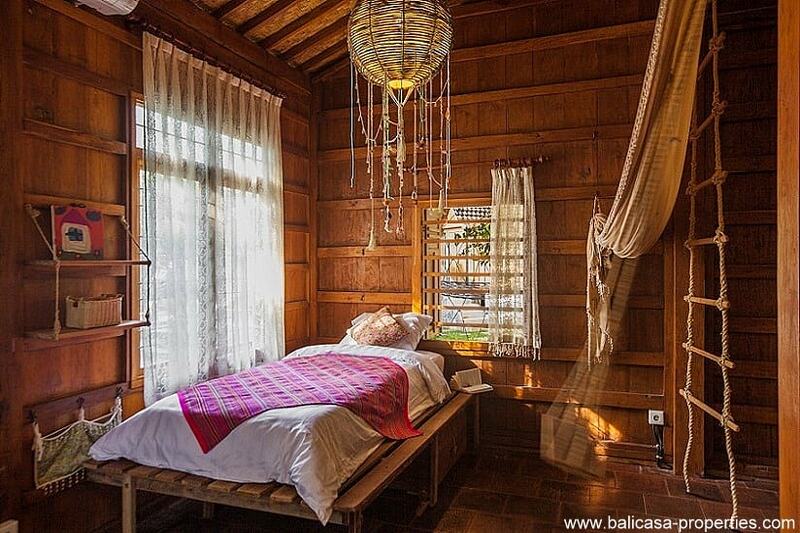 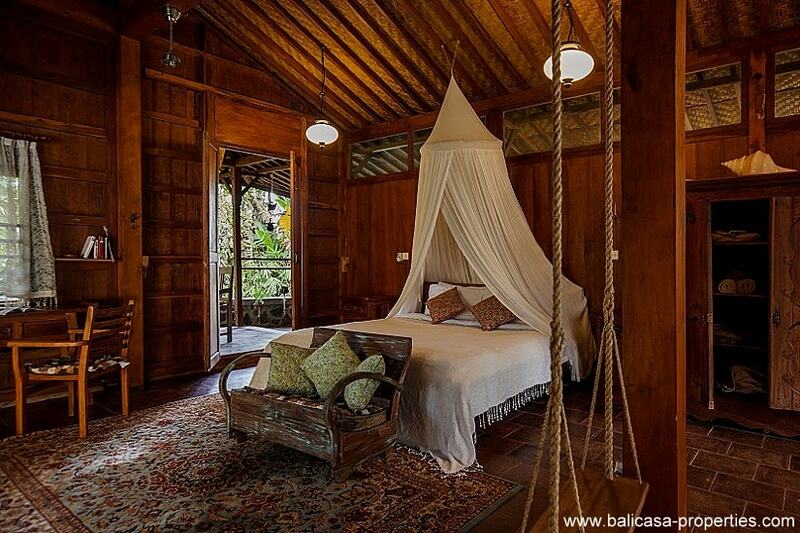 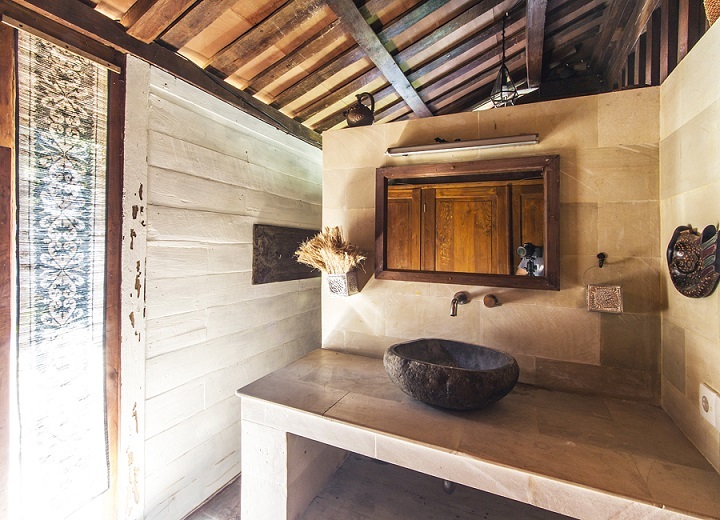 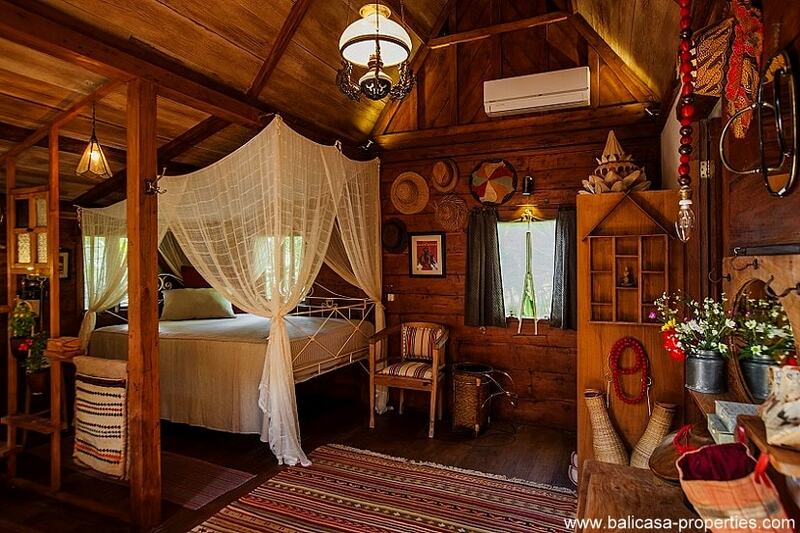 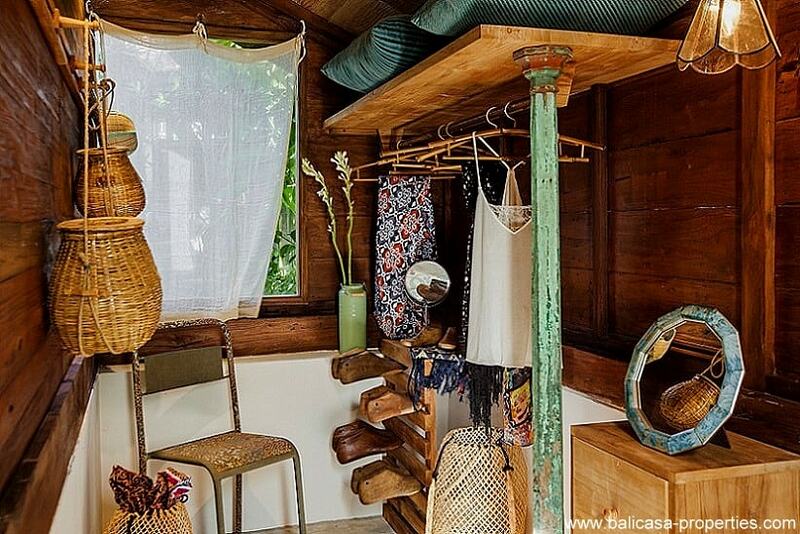 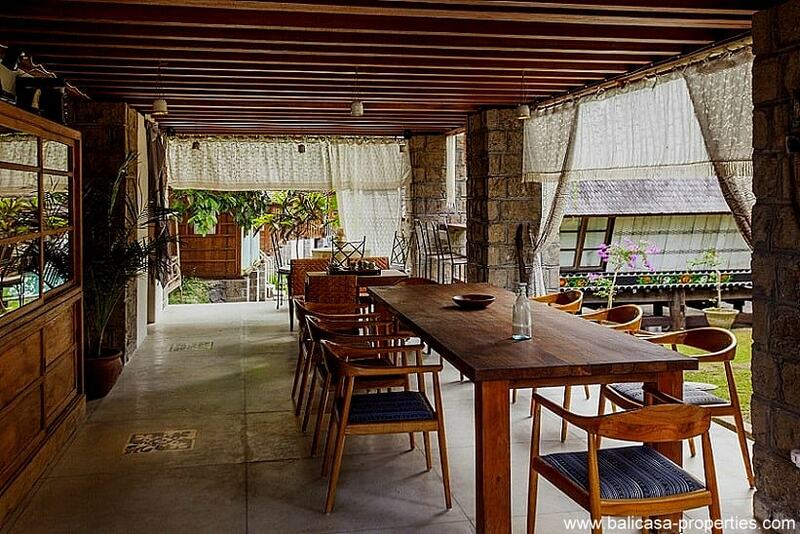 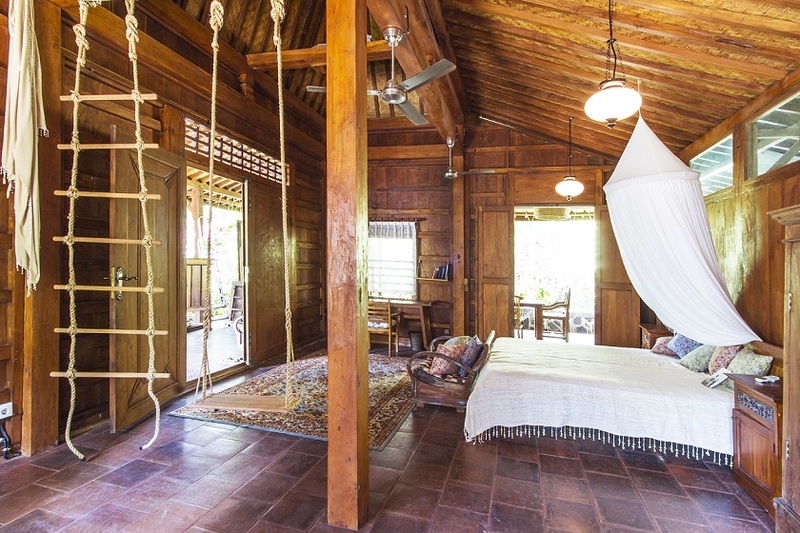 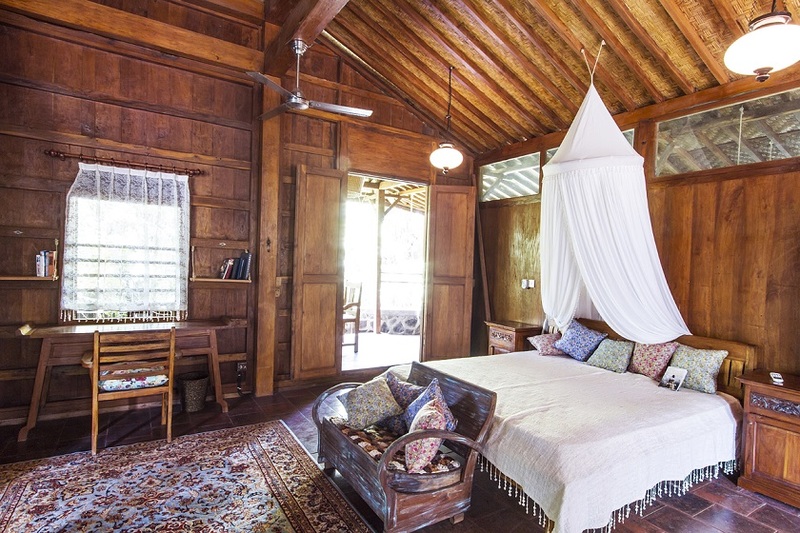 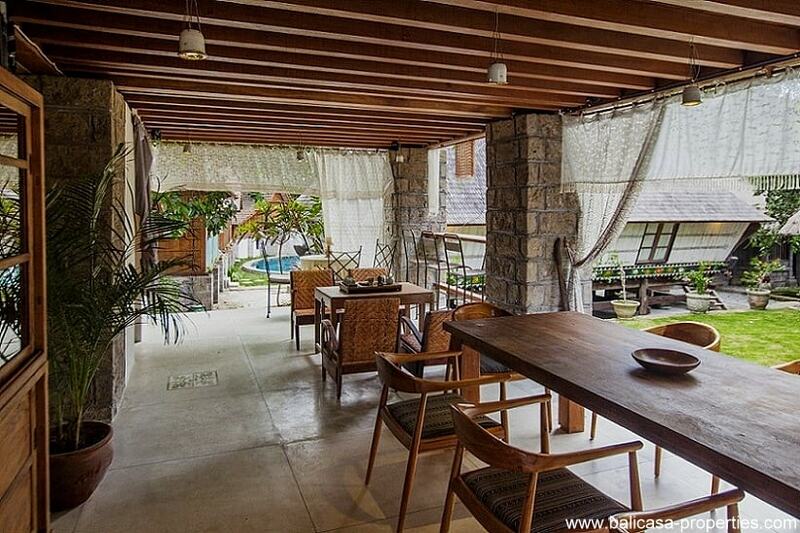 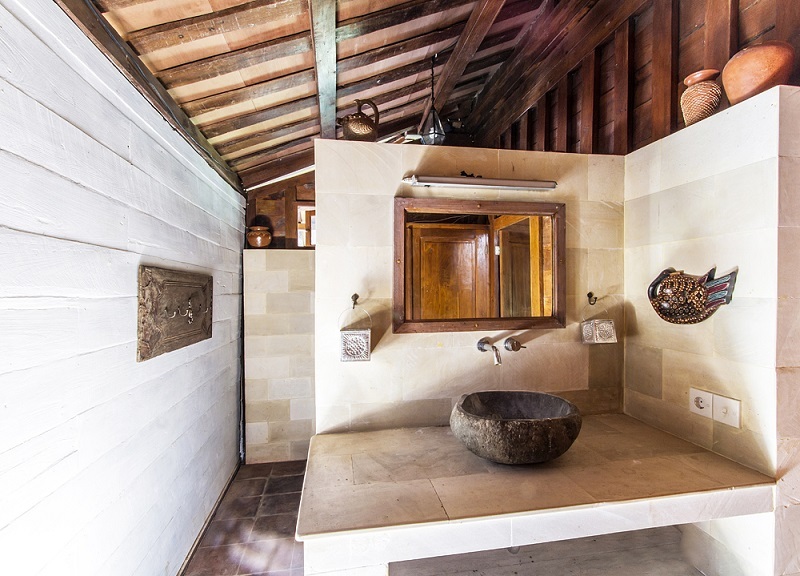 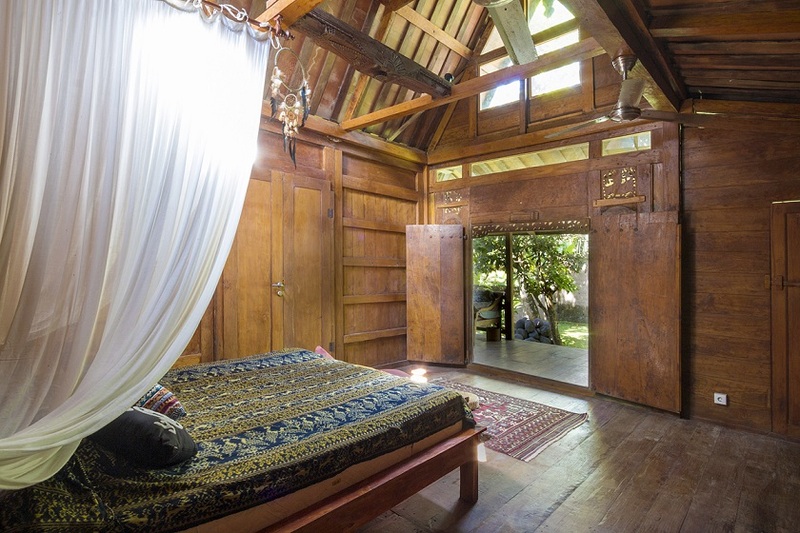 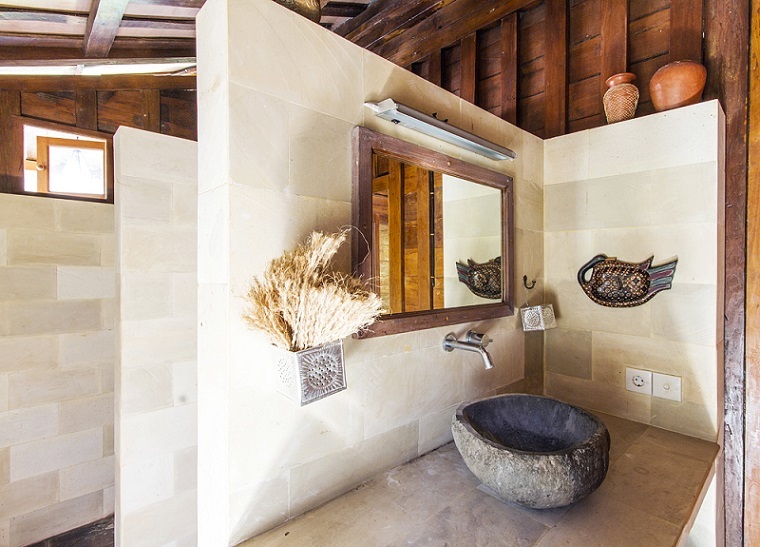 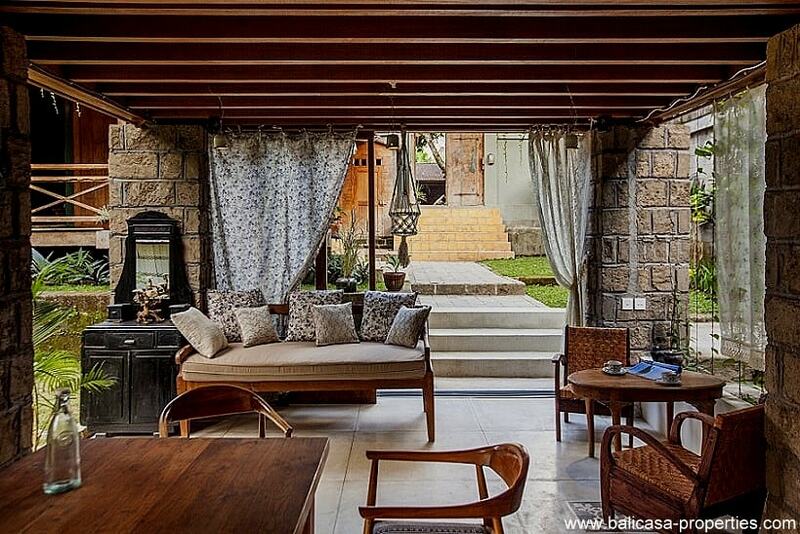 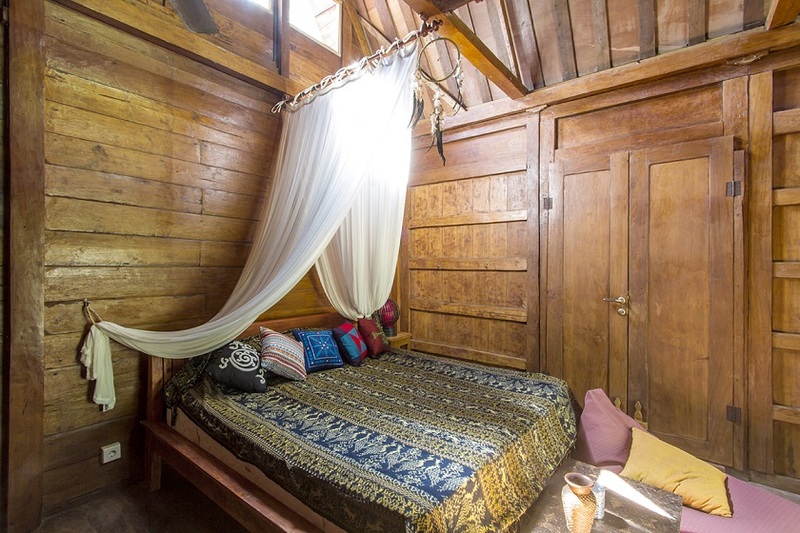 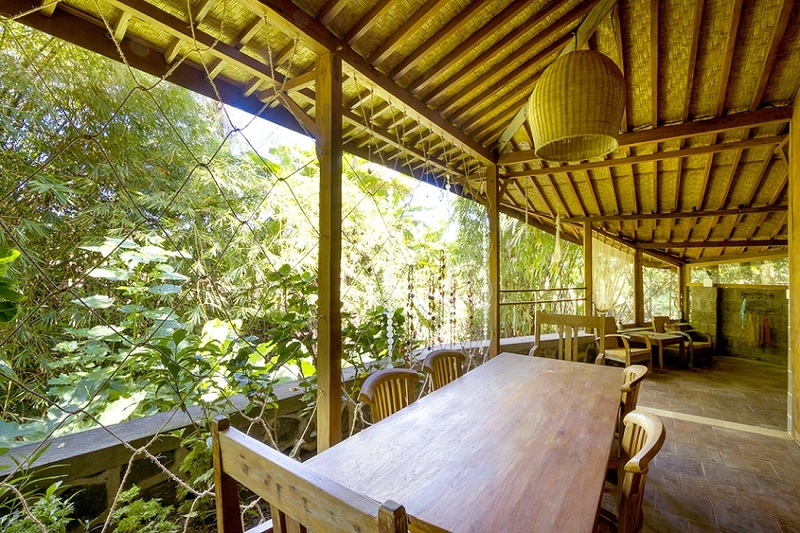 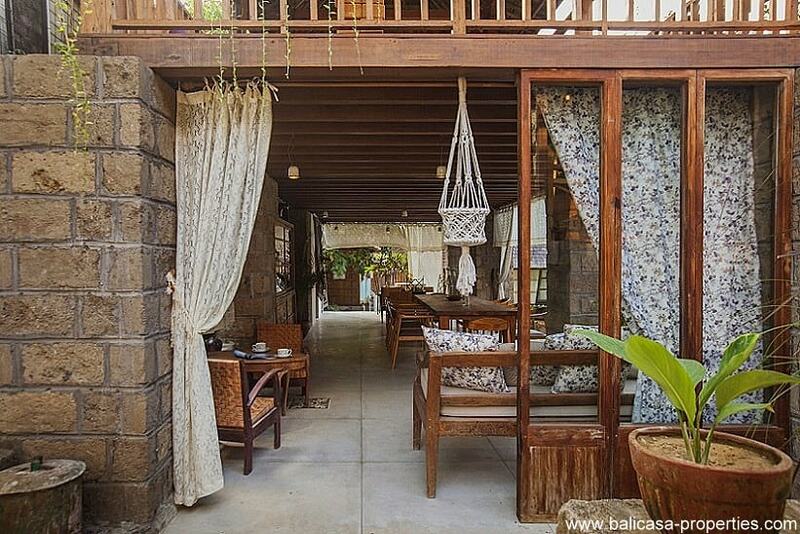 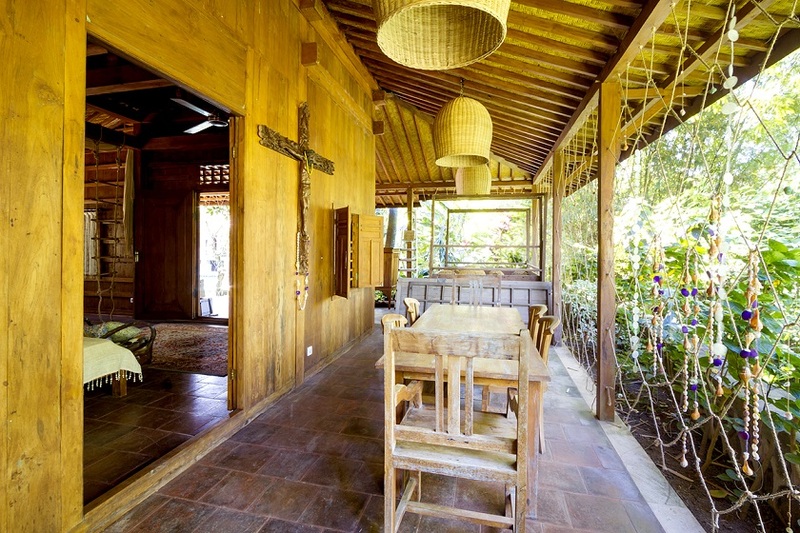 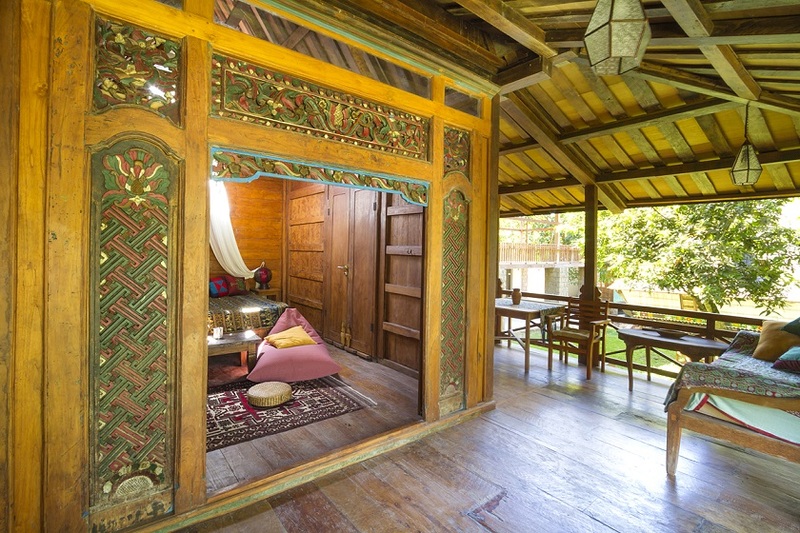 This exceptional Canggu traditional resort is for sale. 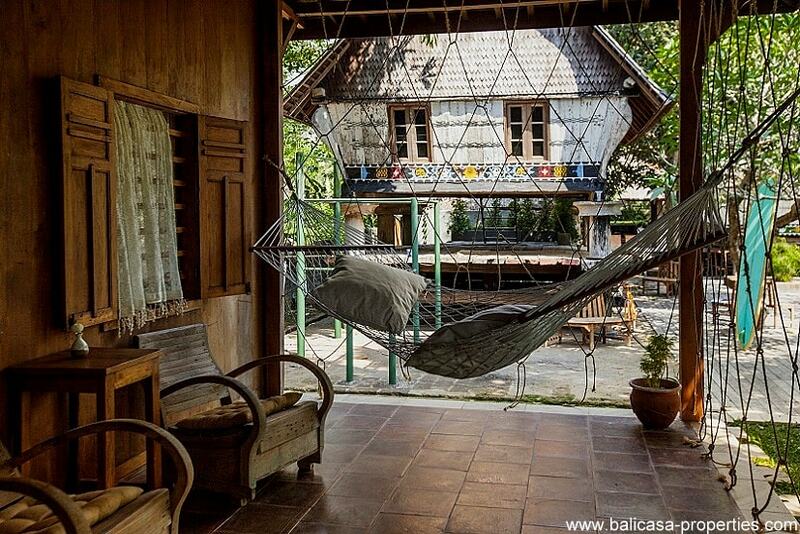 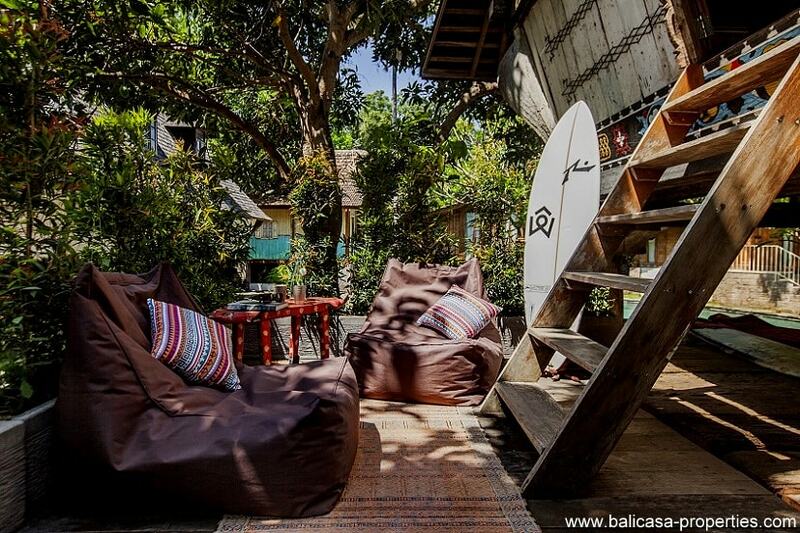 A trendy lifestyle place in Batu Bolong. 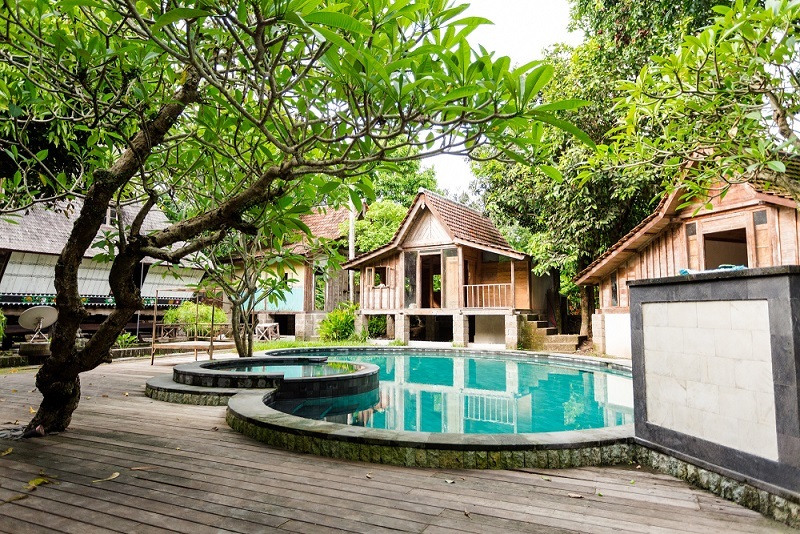 Running this hipster resort as a yoga, spa, or sport resort, all is possible. 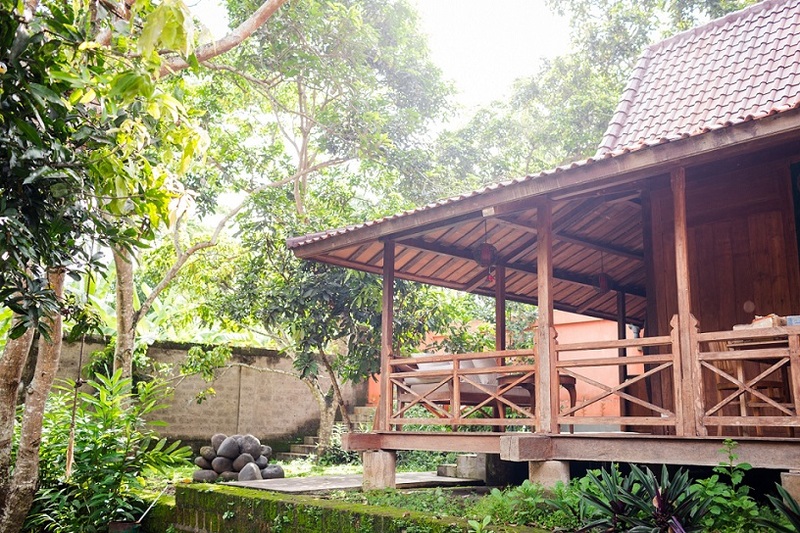 You can fulfill your own desires in this Canggu traditional resort. 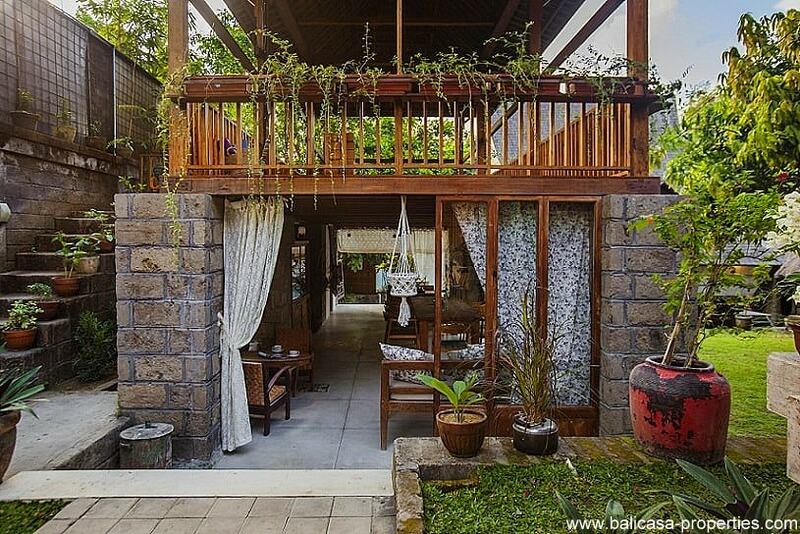 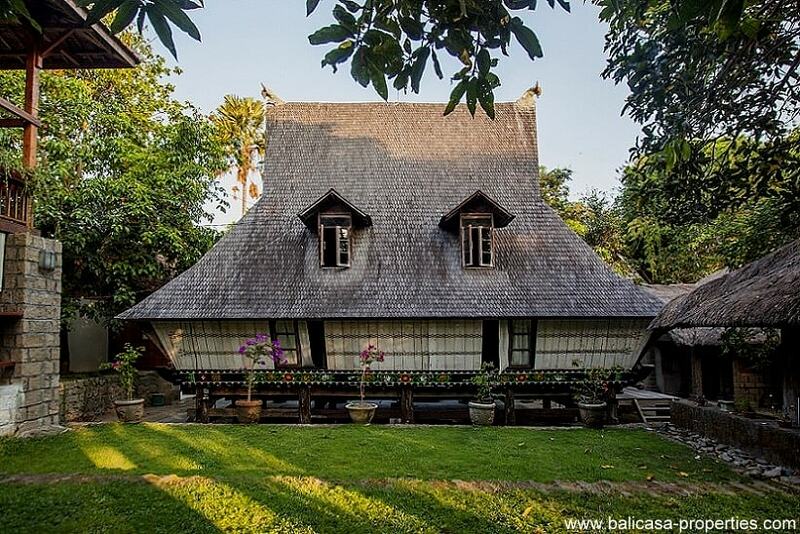 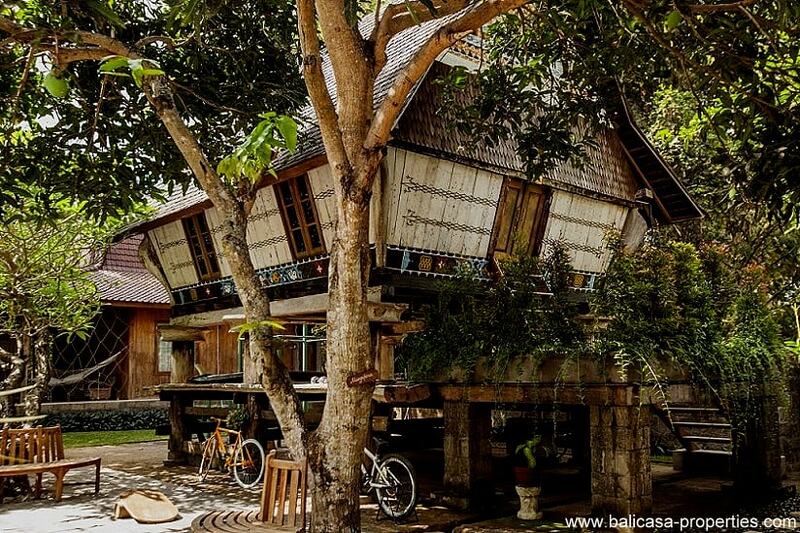 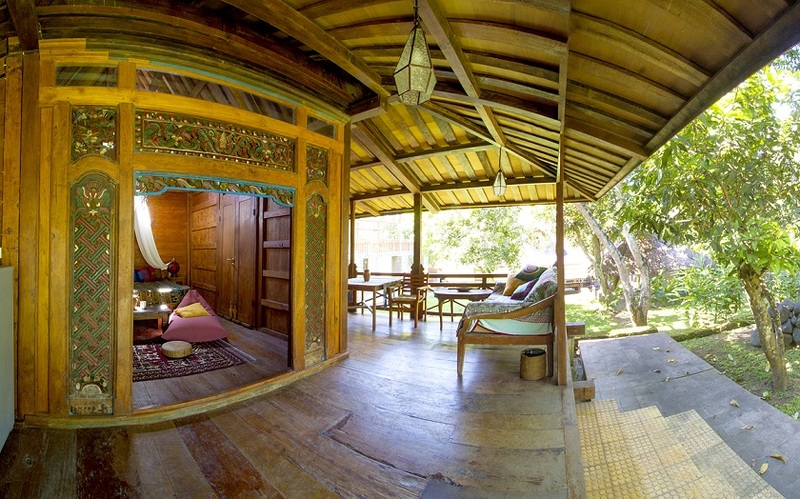 This Canggu traditional resort consists of 7 different kind of buildings, different styles. 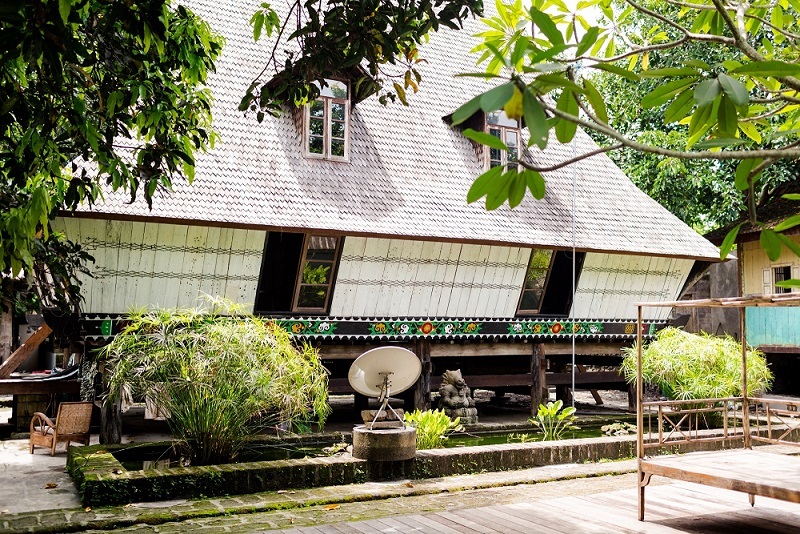 Balinese wooden houses, Joglo villas from Java and the central eye-catcher is the Sumatran Karo building in the middle of the complex. 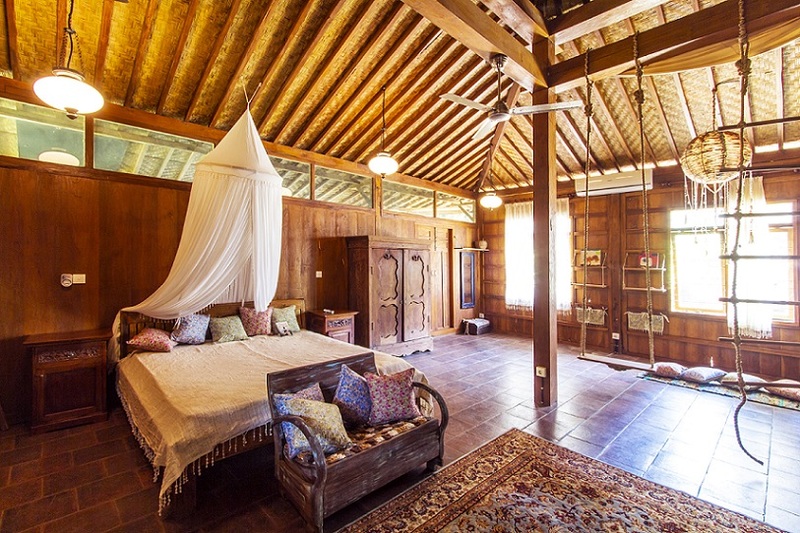 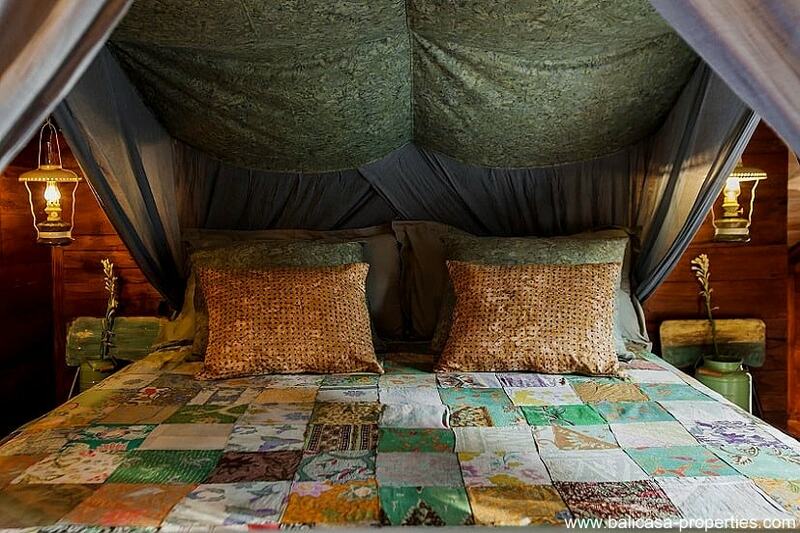 There are totally 11 bedrooms available in the resort. 2 of the private villas are having their own swimming pool. Next to the Karo accommodation is the community swimming pool with the other bungalows around it. 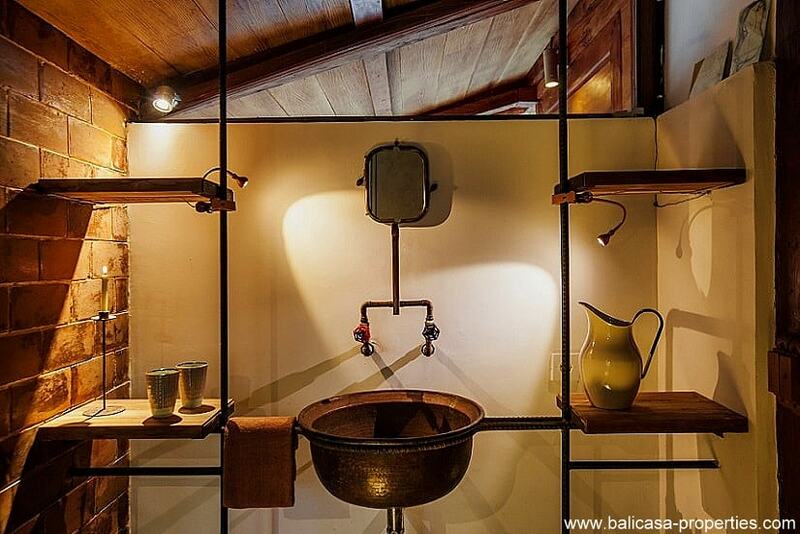 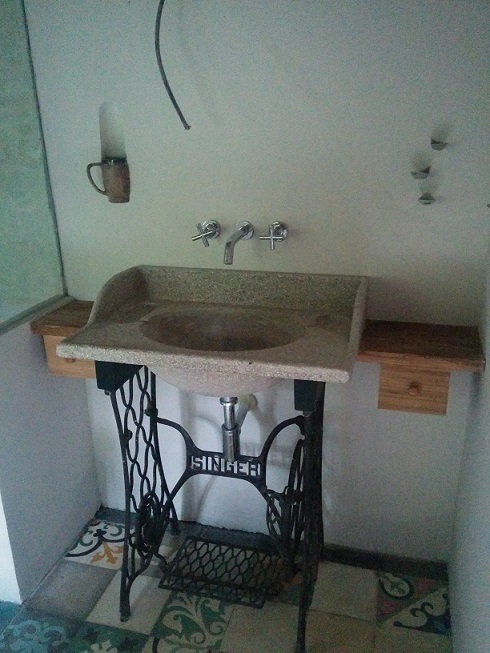 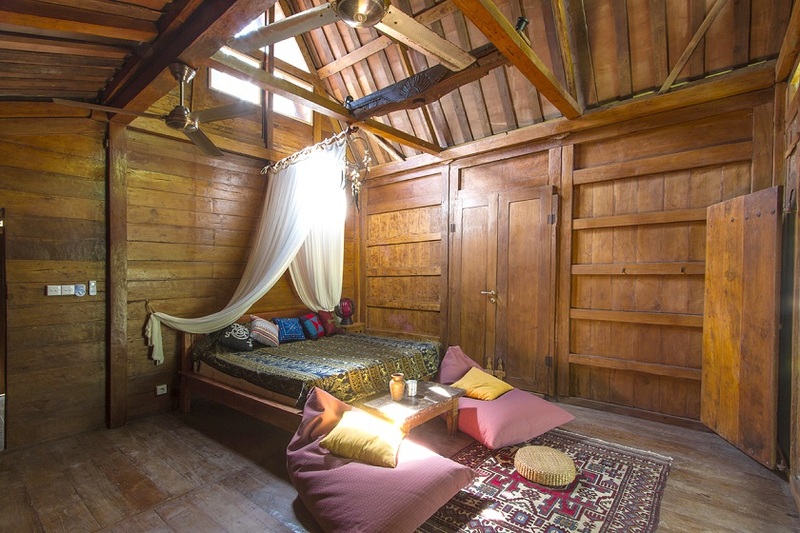 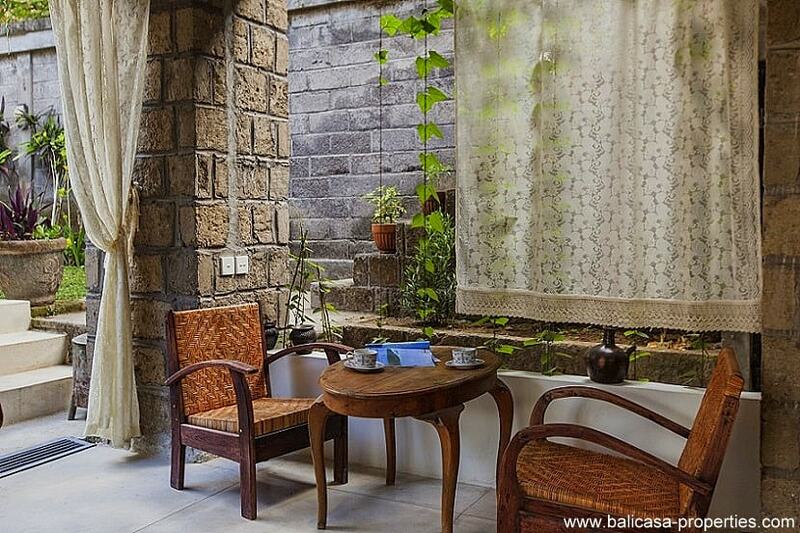 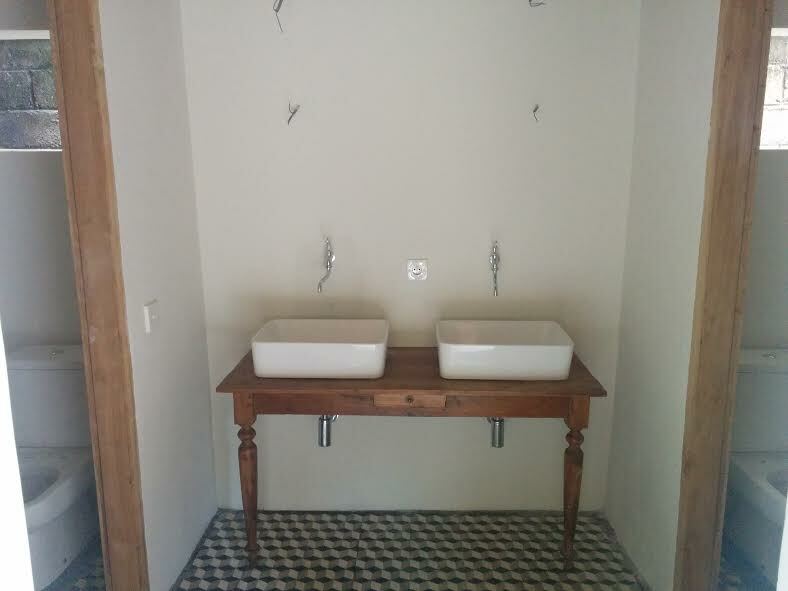 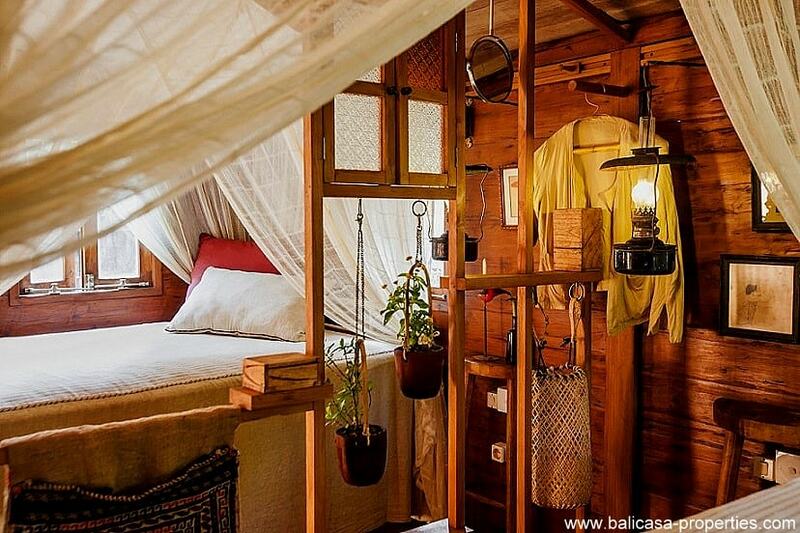 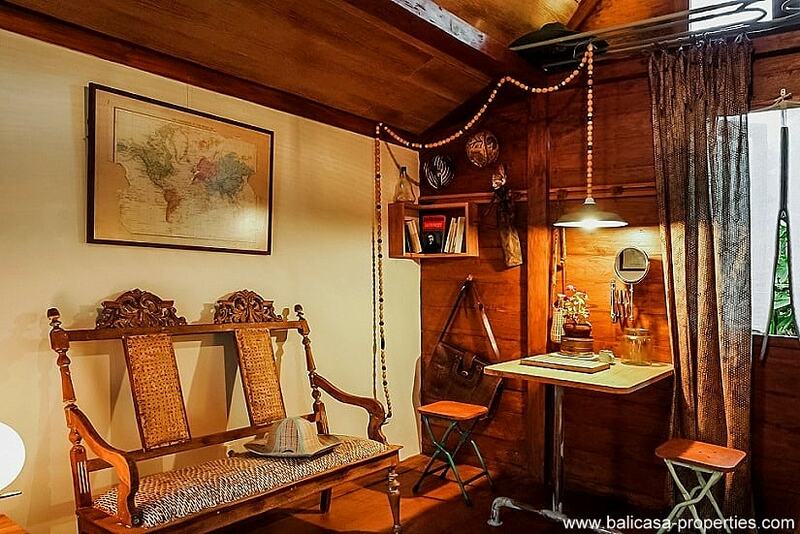 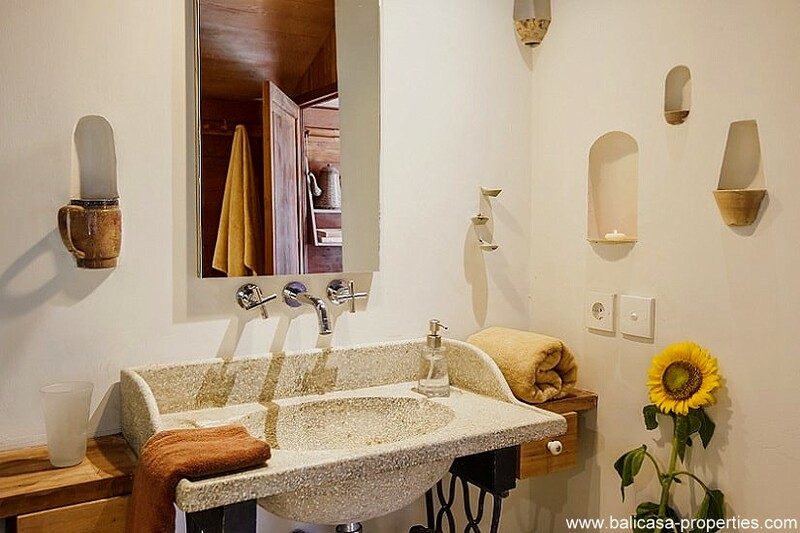 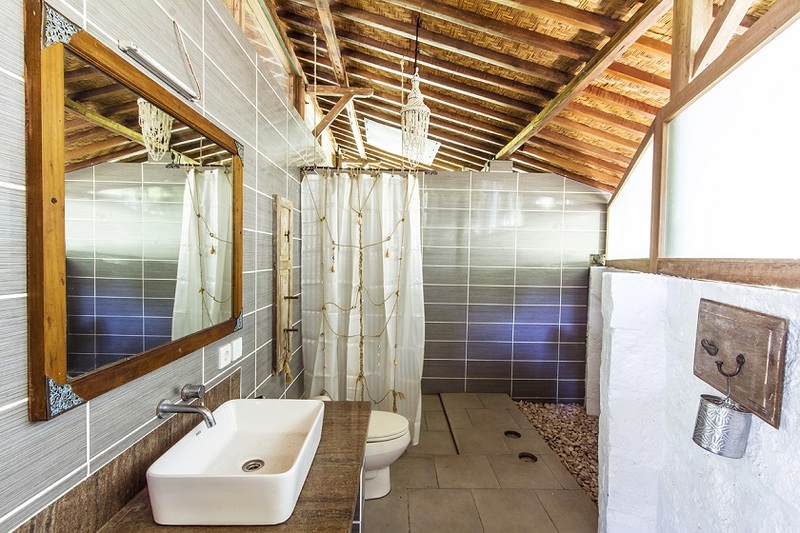 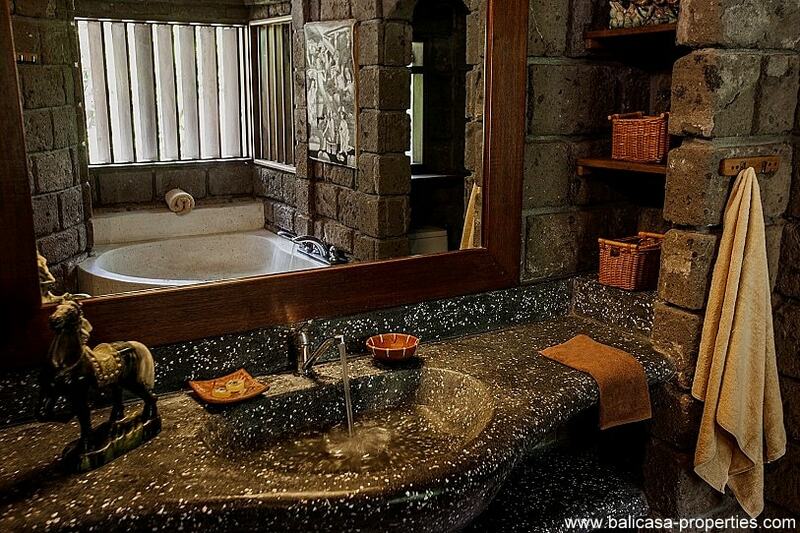 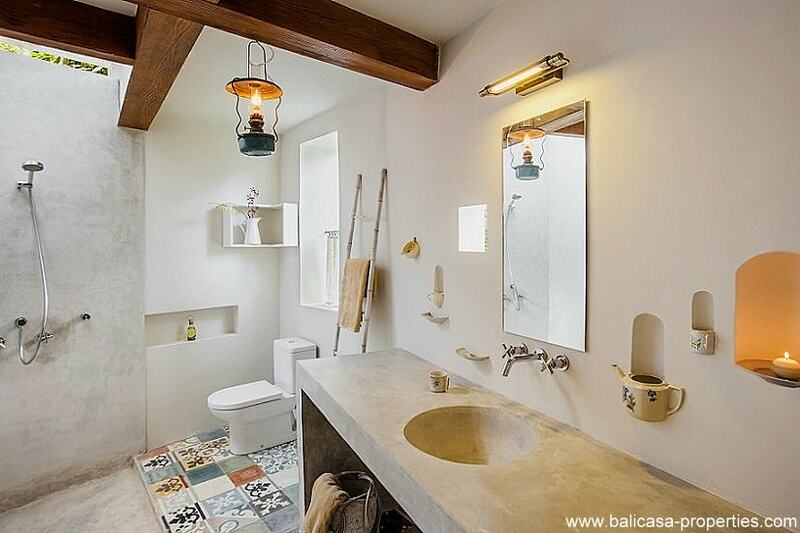 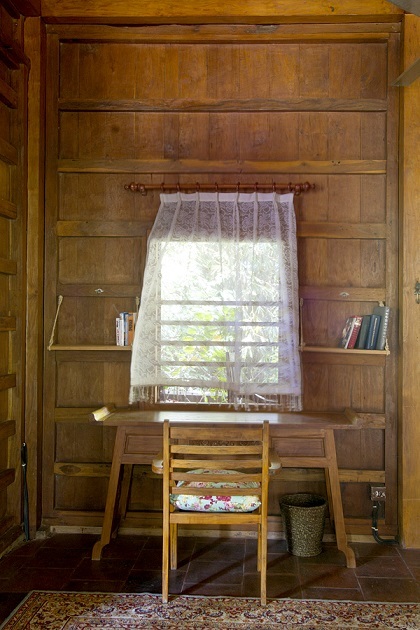 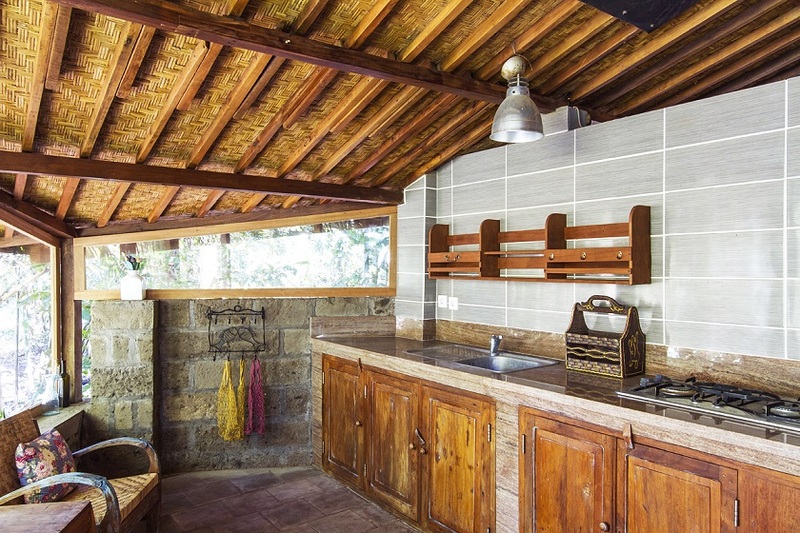 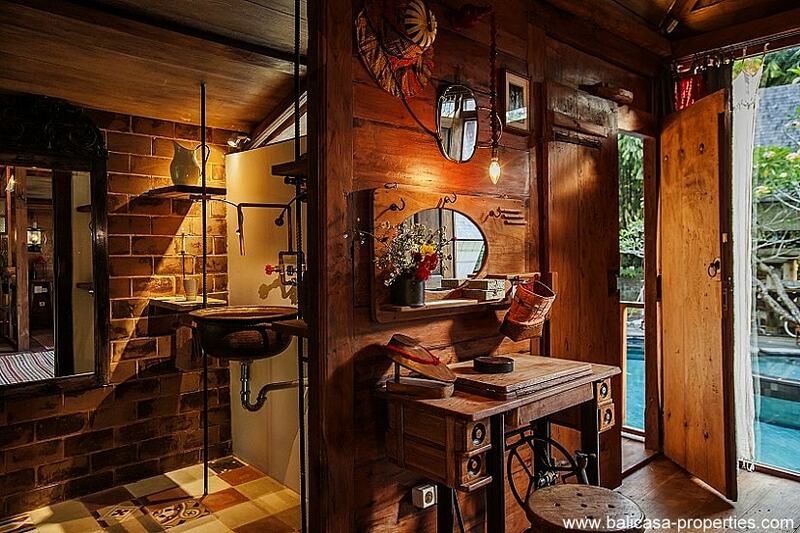 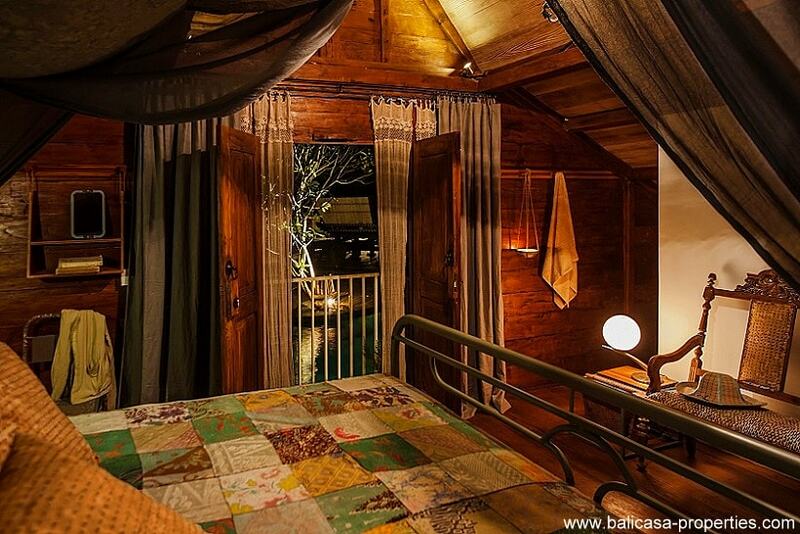 The buildings has been made of old antique wood, old ceramics on the floor and decorated with vintage elements. 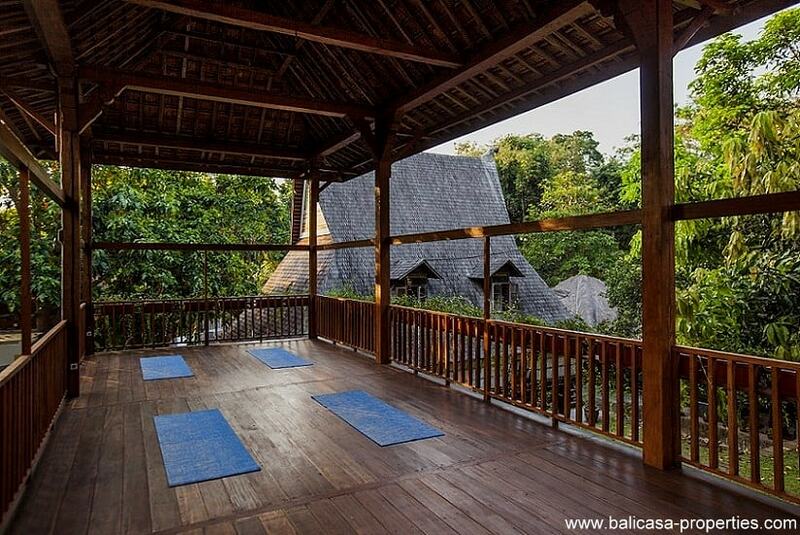 Further on the complex you will have a restaurant area and a space to practice yoga. 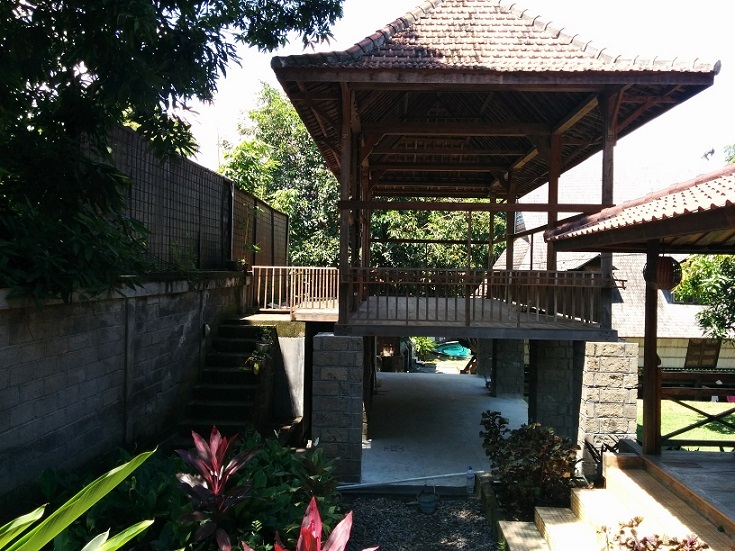 Parking for several cars is available. 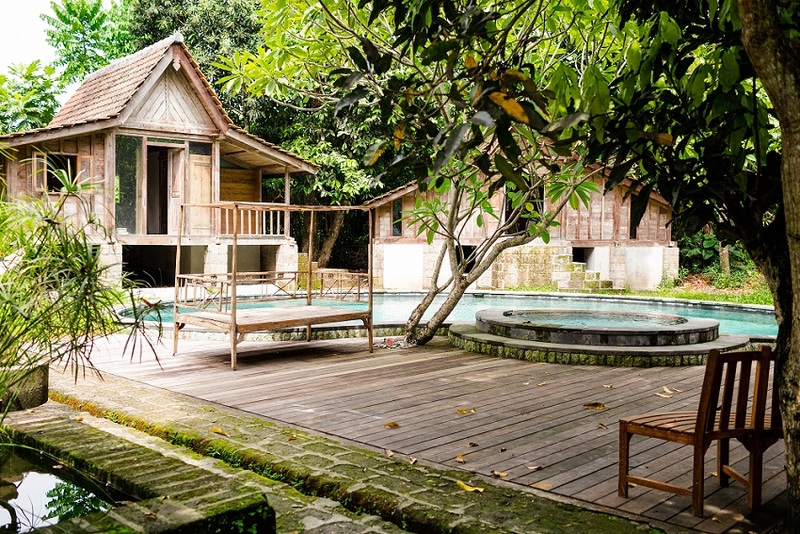 This resort is located in Batu Bolong. 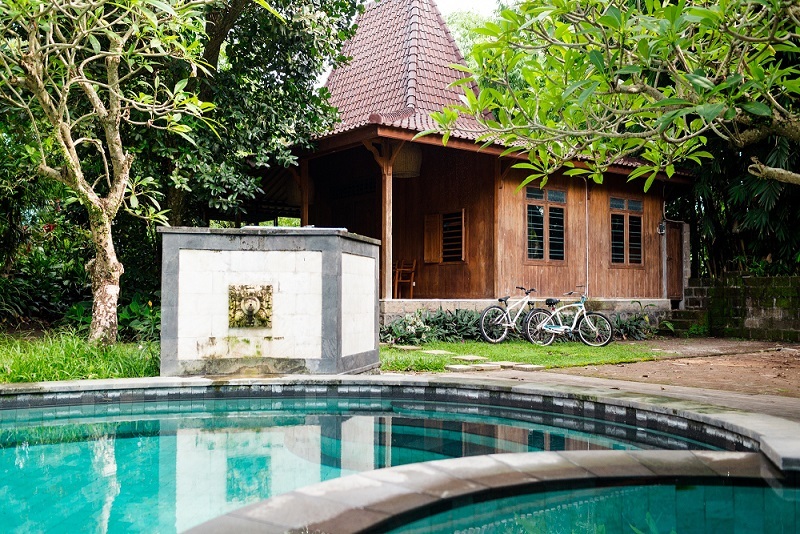 The beach from Batu Bolong can be reached in about 5 minutes driving. 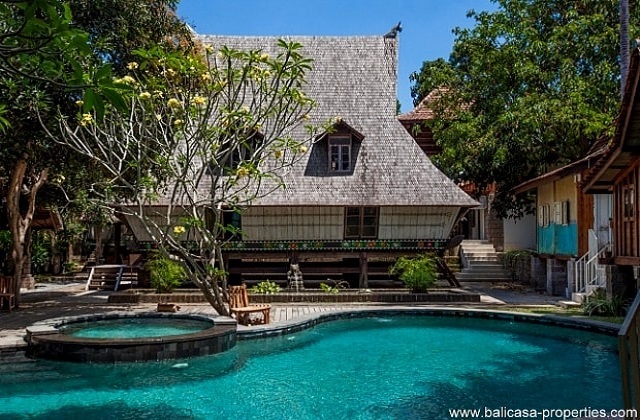 Echobeach, Seminyak, all can be reached in about 10 to 15 minutes driving. 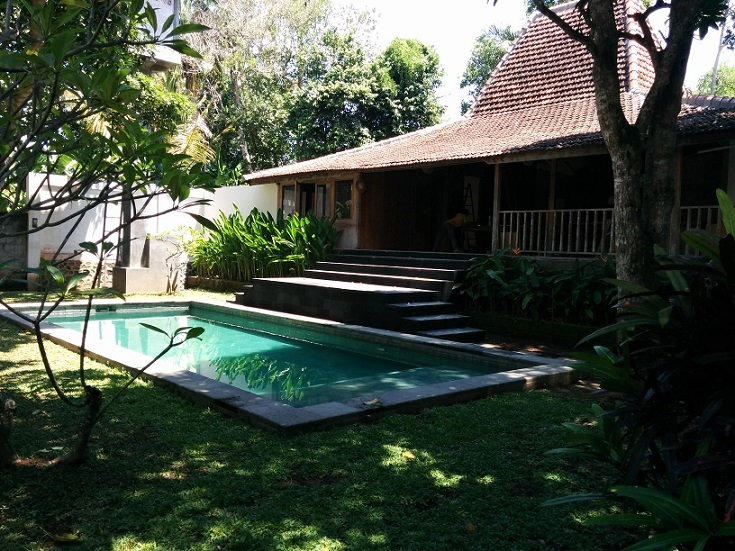 A central location, still very quiet surrounded by some jungle and a small river floating along the complex. 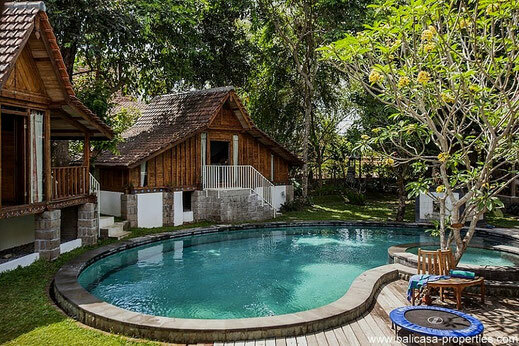 A strategic good location to attract a lot of potential guests as this area is offering enough facilitiThis Canggu traditional resort is already having it own Pondok Wisata, a license to rent out the resort. 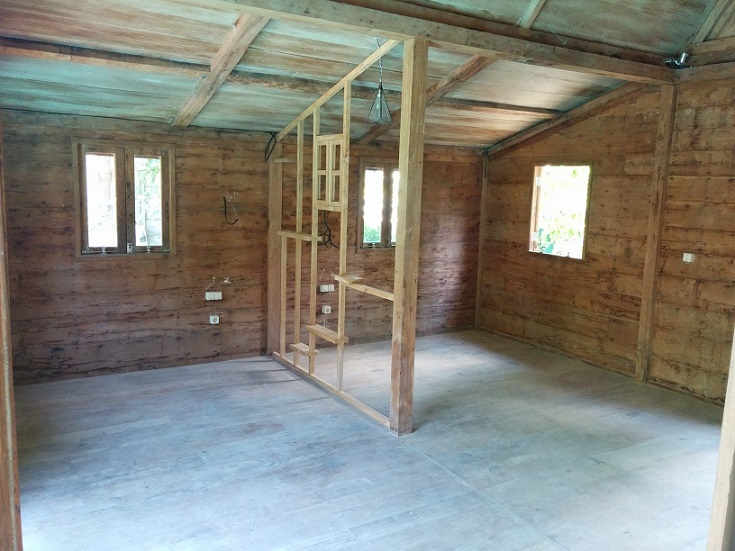 A business plan is available. 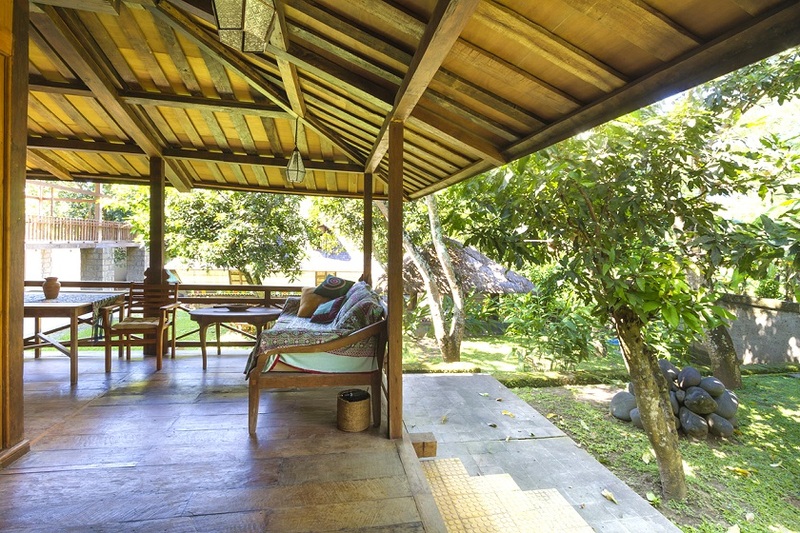 The indicative return on investment is about 7% to 8% annual. 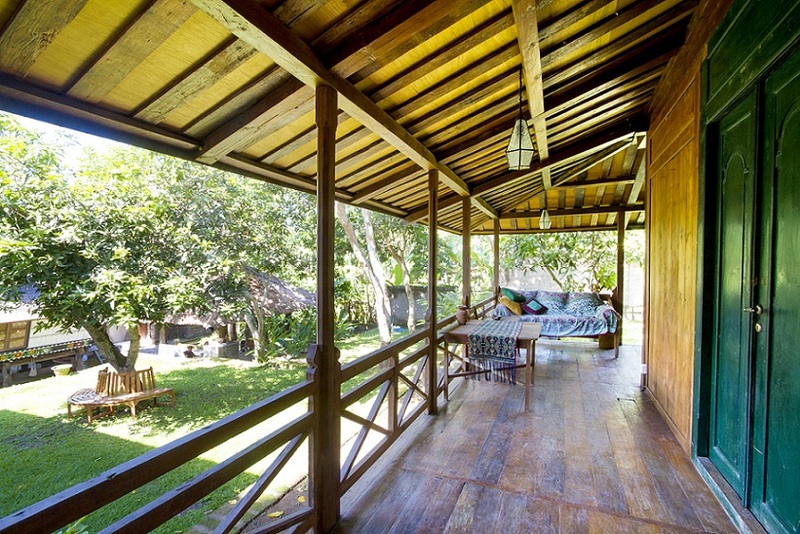 The resort is meant for guests with different budgets but also different ideas to spend their "active" holiday in Bali. 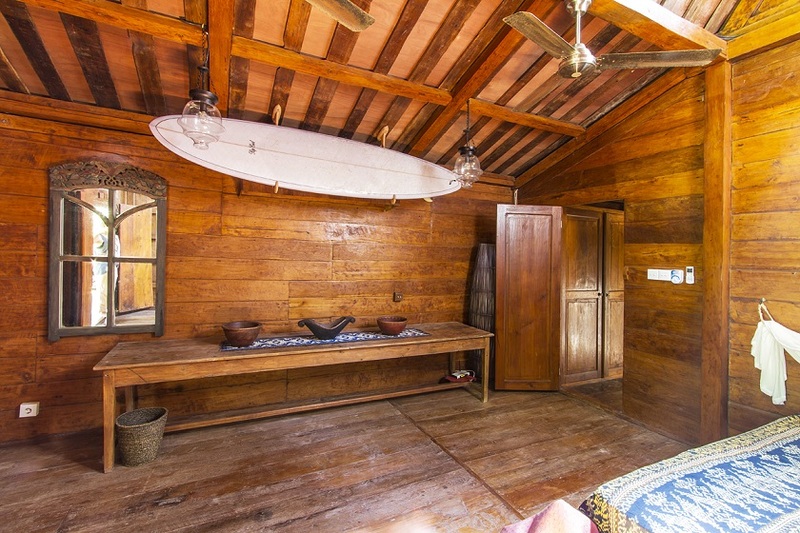 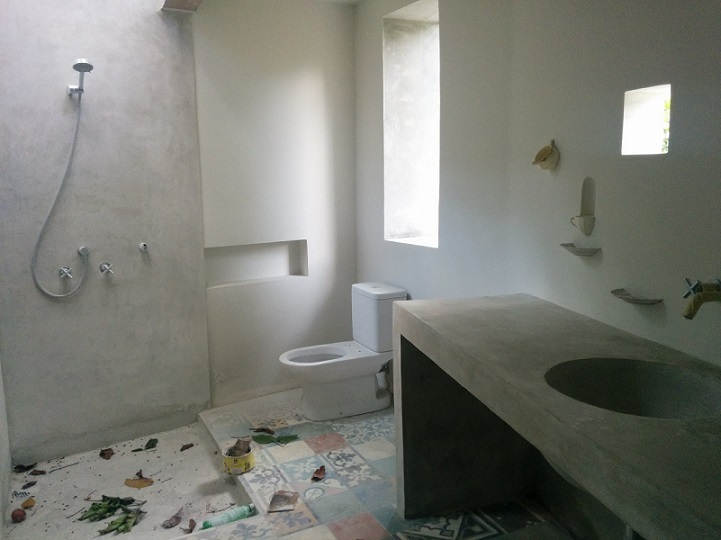 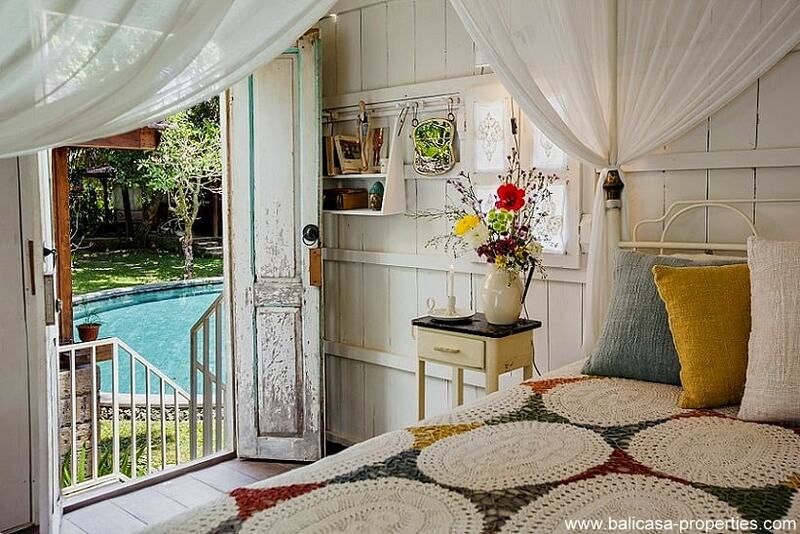 We can understand that you might be curious to see this new Canggu traditional resort. 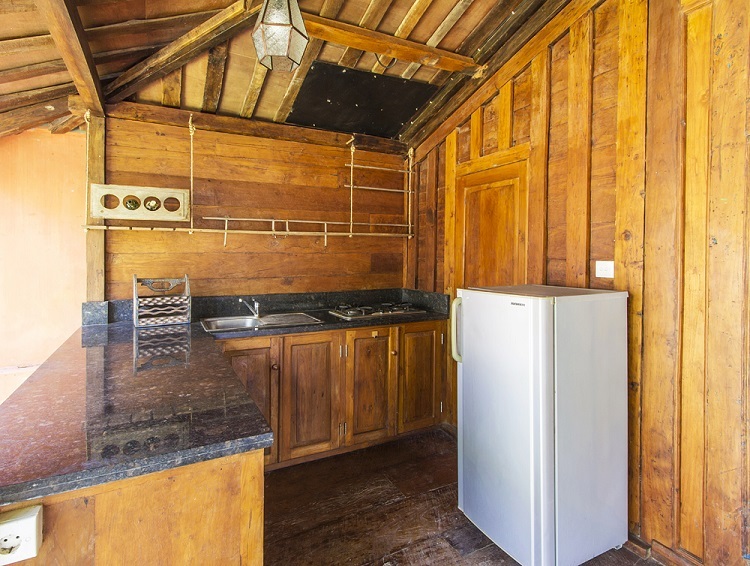 Please contact us and we will be please to show you this property and eventually some other alternatives.